Photo courtesy of tsand, some rights reserved. A standard and special edition of a classic bourbon drink to mark US National Bourbon Day (14 June), although let’s not forget Bourbon Heritage Month is still to come (September)! The Mint Julep is a drink that is now synonymous with Bourbon-country, in particular Kentucky, and an estimated 120,000 are sold over the Kentucky Derby weekend alone. The ‘Julep’ of the name refers to a sweet syrup drink, and is a corruption of the Arabic ‘julab’ for ‘rosewater’. In the eighteenth and nineteenth century, a julep was any sweet fruity drink, commonly based with rum, brandy or whiskey. Now, the only julep-class drink with any global reputation is the mint julep, but there are some signs of revival in the form of rum and berry-based julep drinks as well. Today, the Mint Julep is best made with fresh spearmint leaves and pre-chilled shaker and glass. The traditional julep cup is made of pewter to help it to retain its coldness. Very important when the thermometer is at 100, or even 70 – less so when (as at present) it is barely touching 50 in mid-June Edinburgh. Two words of caution before the recipe: it is important to discard the stem of the mint, as this will produce a bitter residue when muddled, and ensure that you are only bruising the mint leaves and not pummelling them to a bitter slush at the bottom of your cup. Add five mint leaves and a barspoon of simple syrup to your julep cup (if you don’t have $1,000 julep cup to hand a highball glass is a suitable alternative). Muddle well, but be sure to only bruise and not crush the leaves. 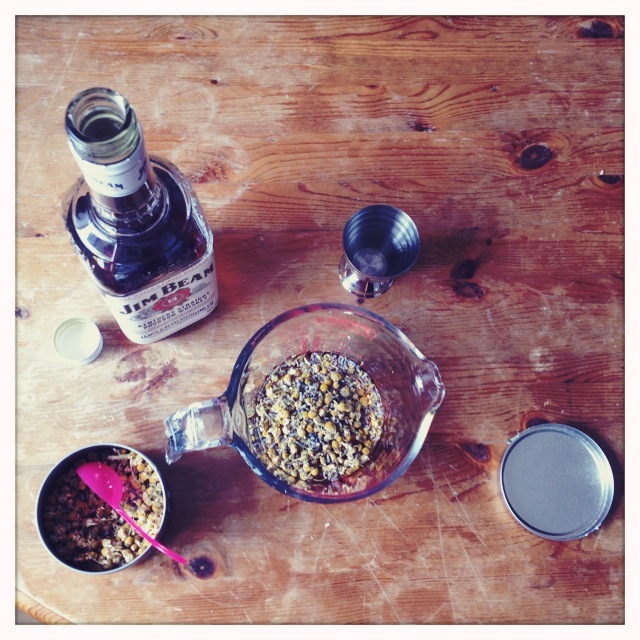 Add a large measure of whiskey. Bourbon is traditional given the drink’s association with Kentucky, and Early Times Kentucky whiskey is the choice at the Kentucky Derby. 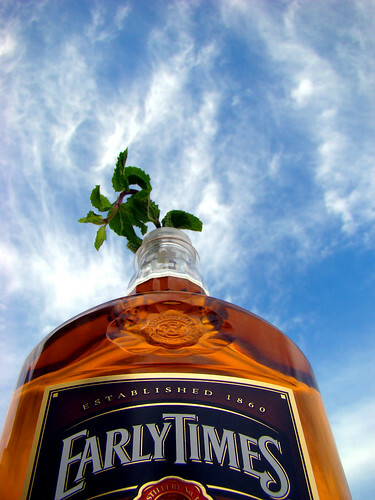 Stir and garnish with a pristine mint sprig or three. For an even mintier alternative, consider peppermint bourbon, or for an added booze and sugar hit, float half a measure of golden rum on top of the built drink.